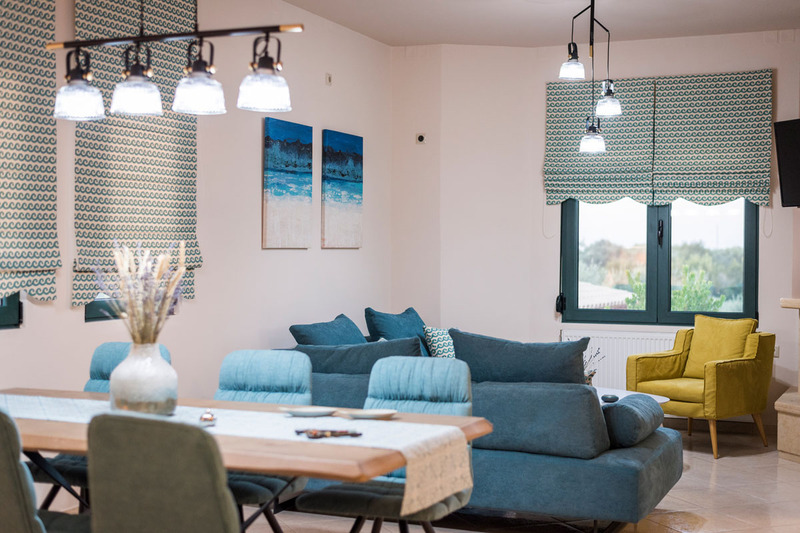 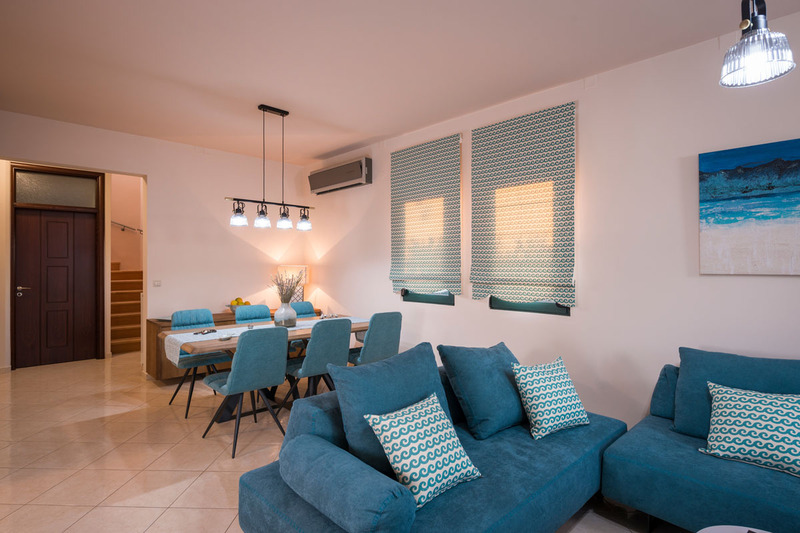 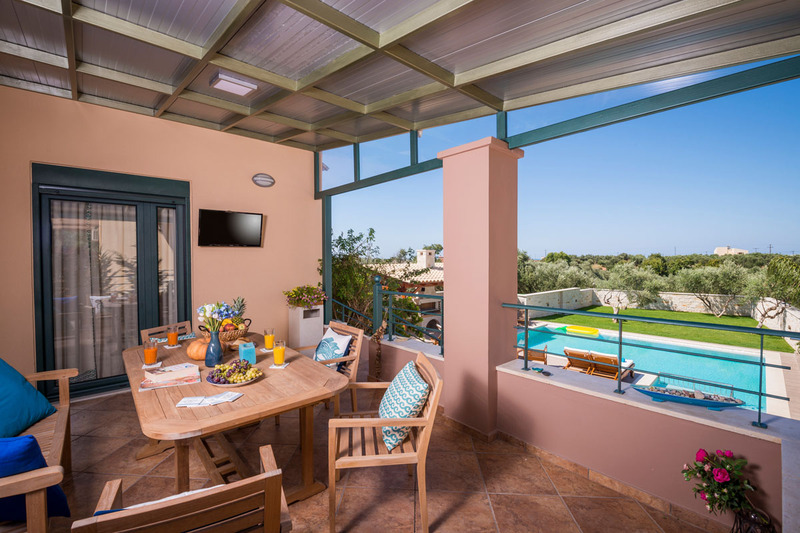 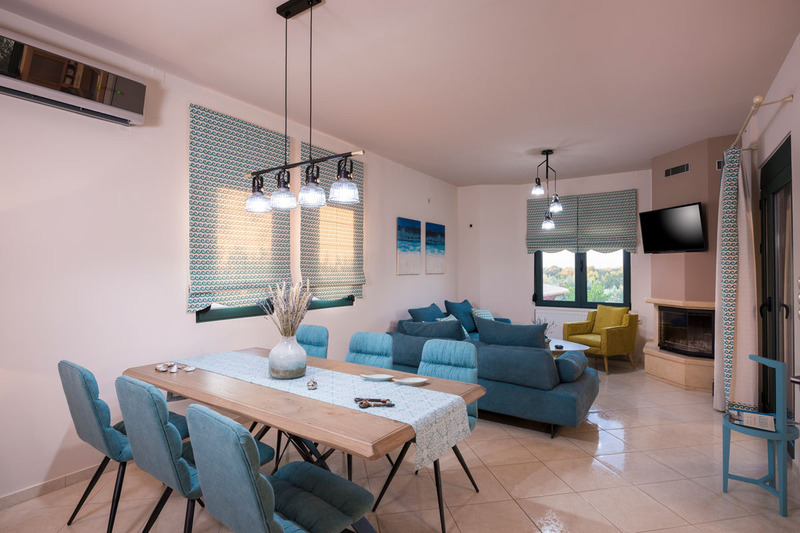 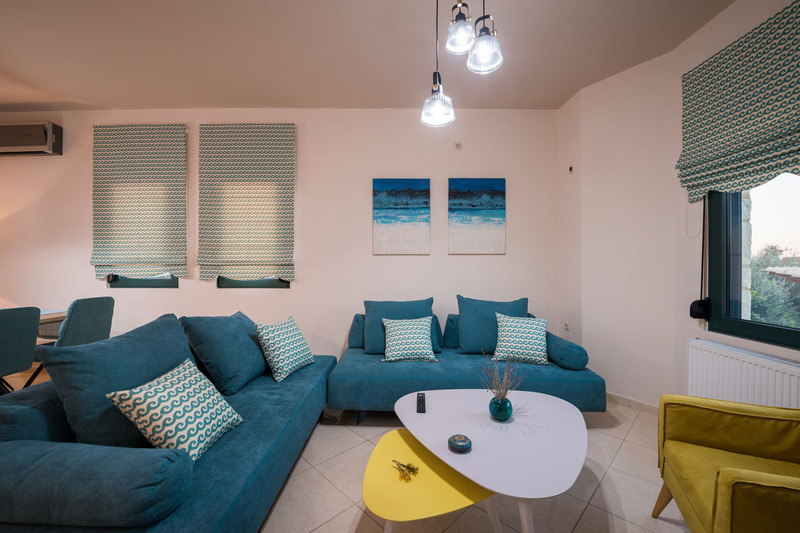 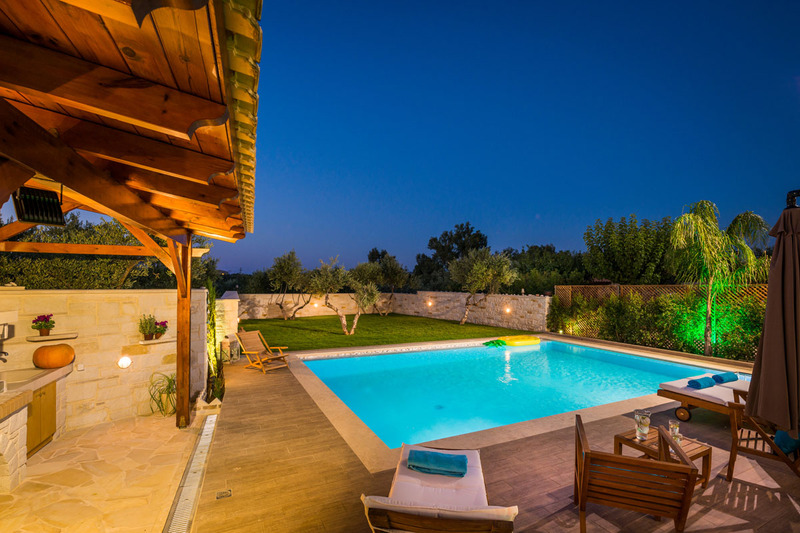 Antonia Blue villa is a brand new 3 bedroom villa, with modern decoration, private swimming pool, BBQ and private parking. 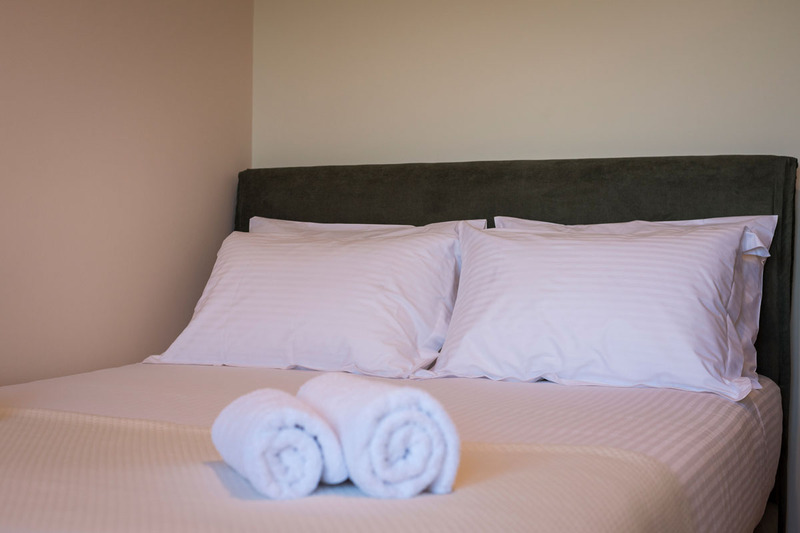 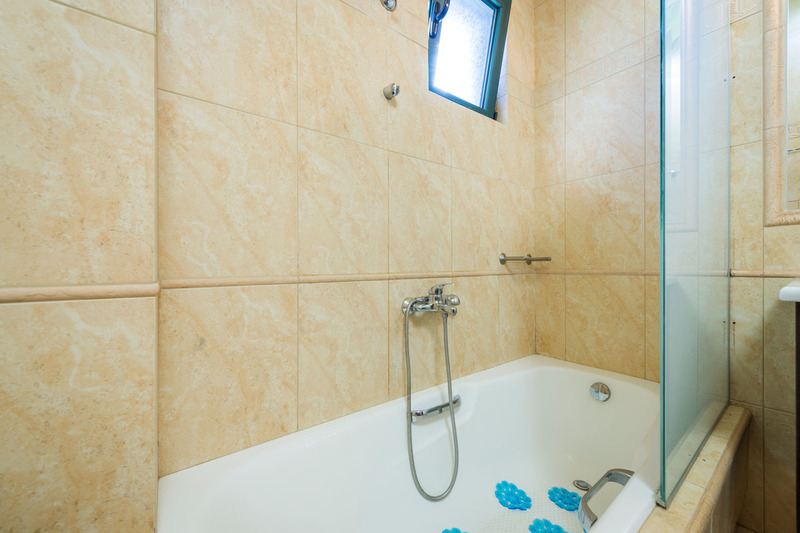 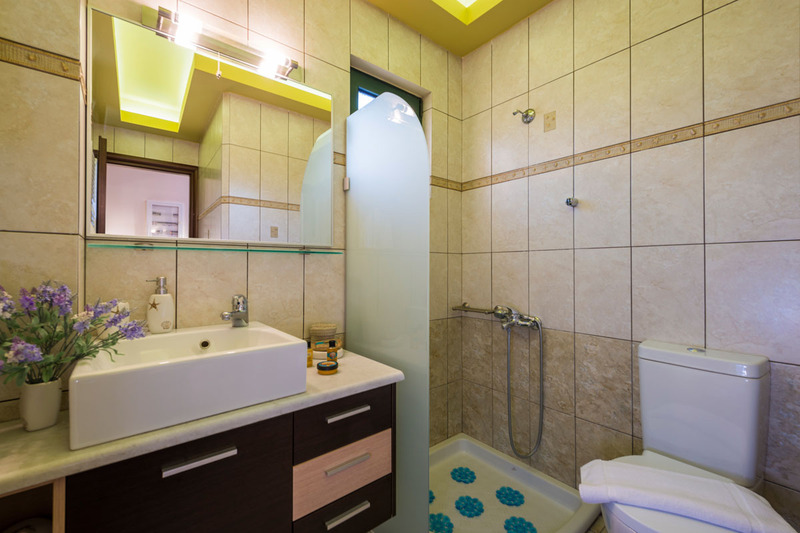 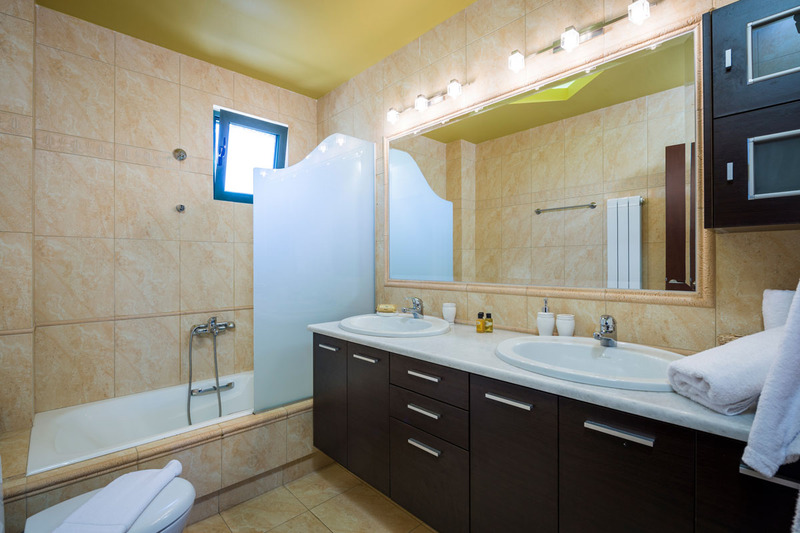 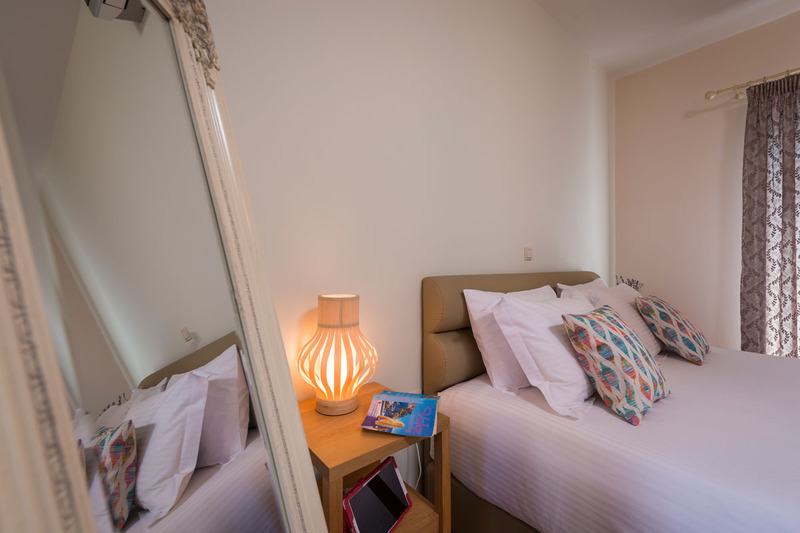 The property can accommodate up to 7 people comfortably, providing all the necessary amenities. 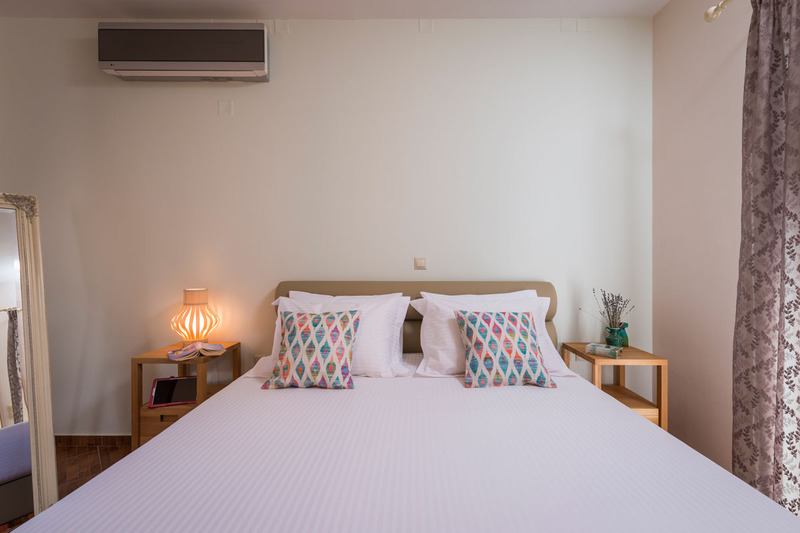 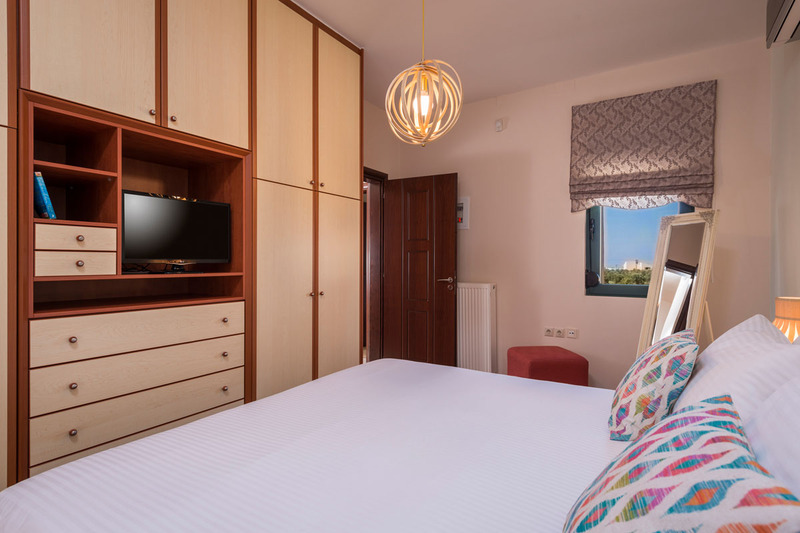 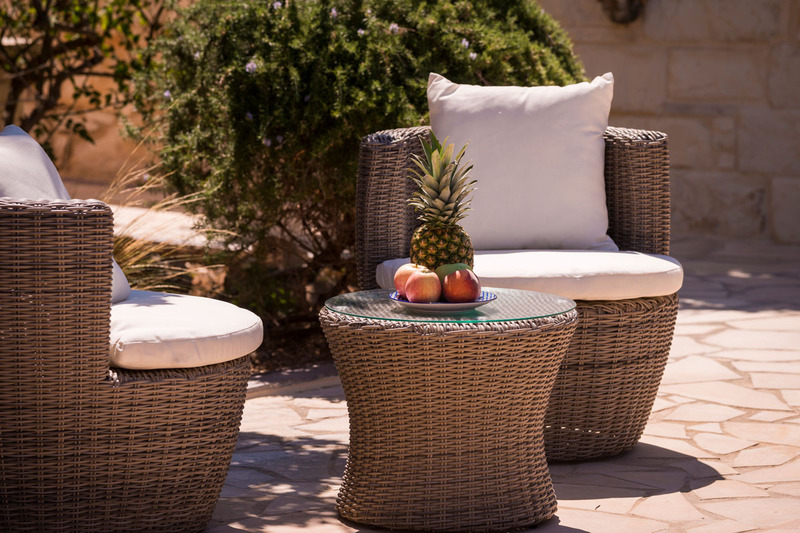 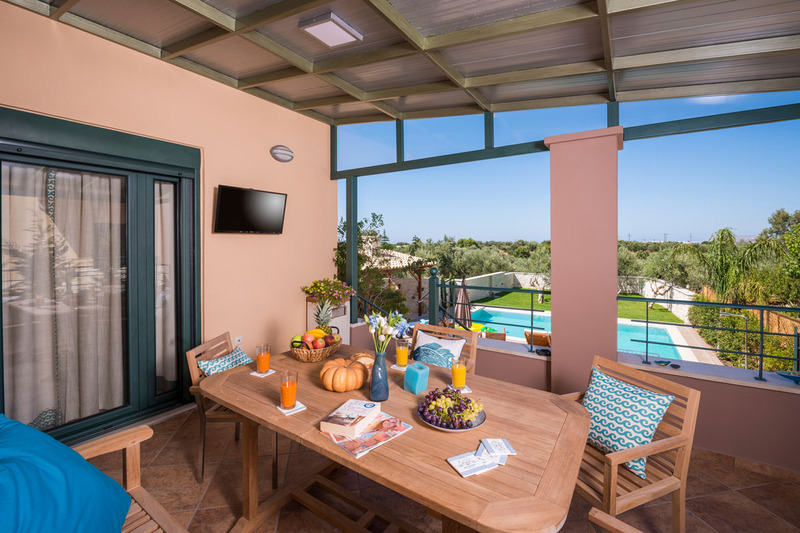 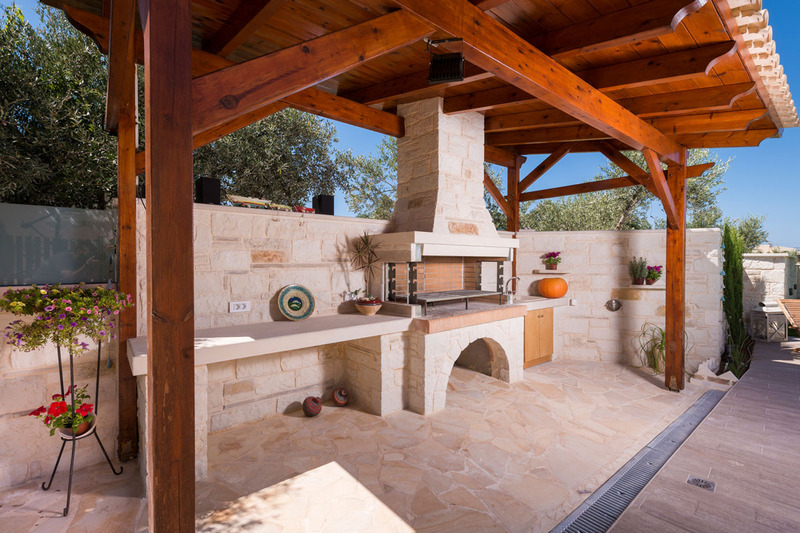 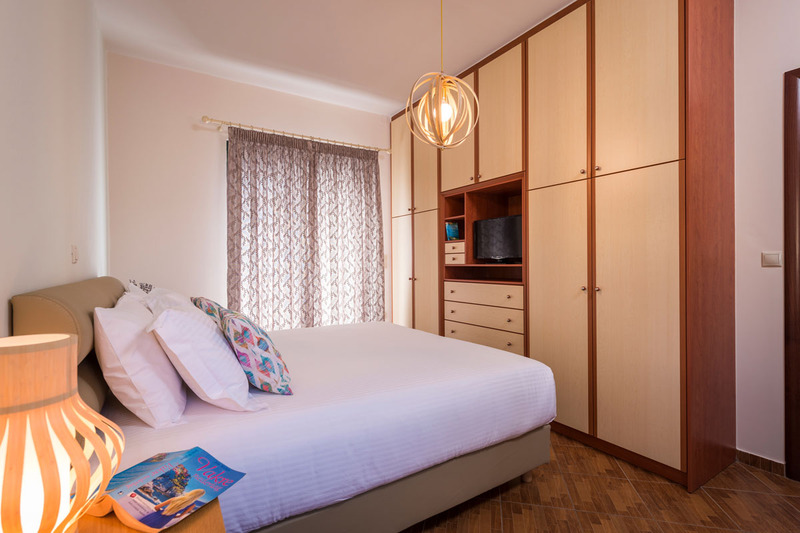 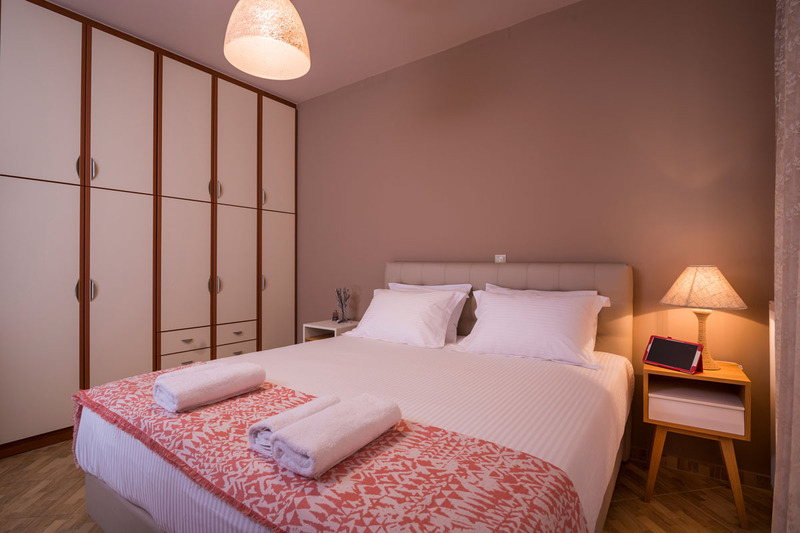 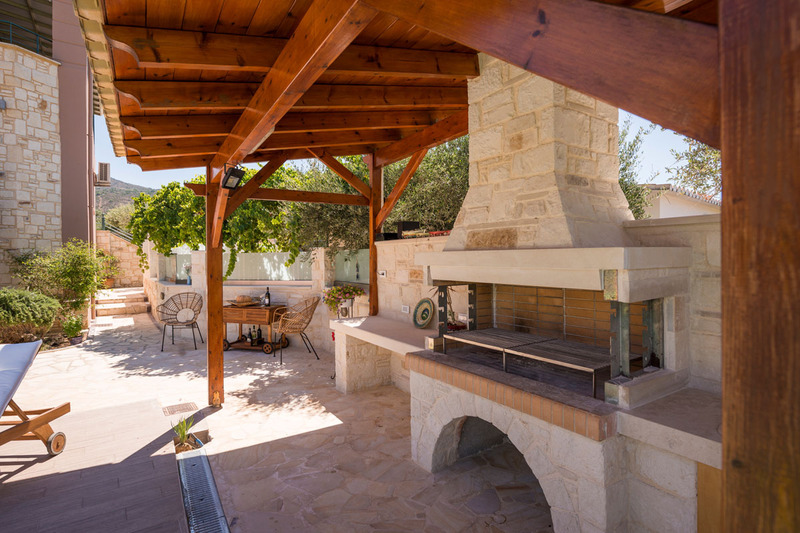 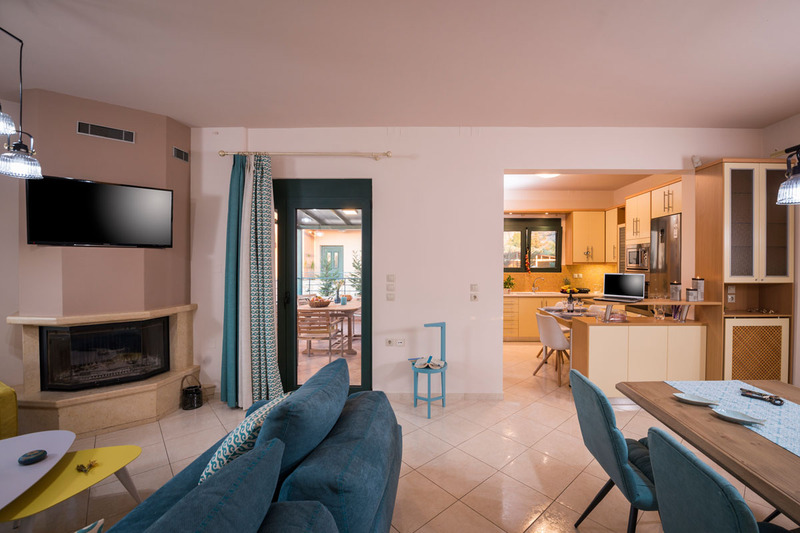 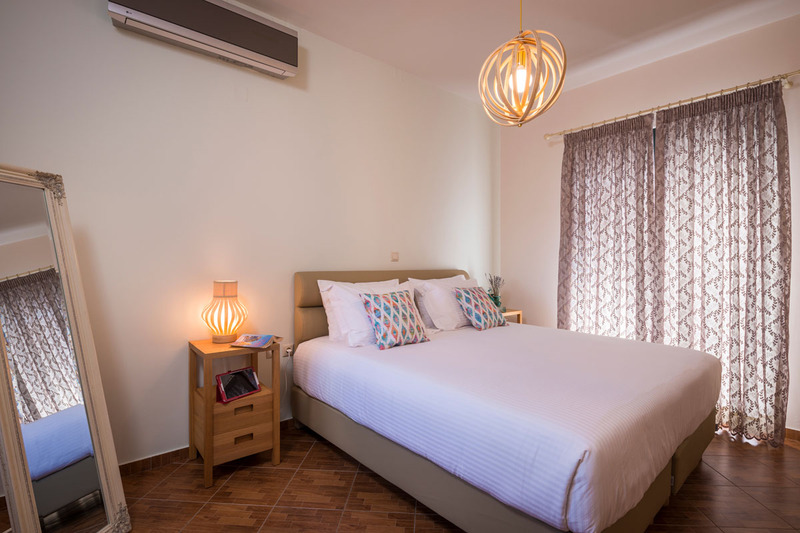 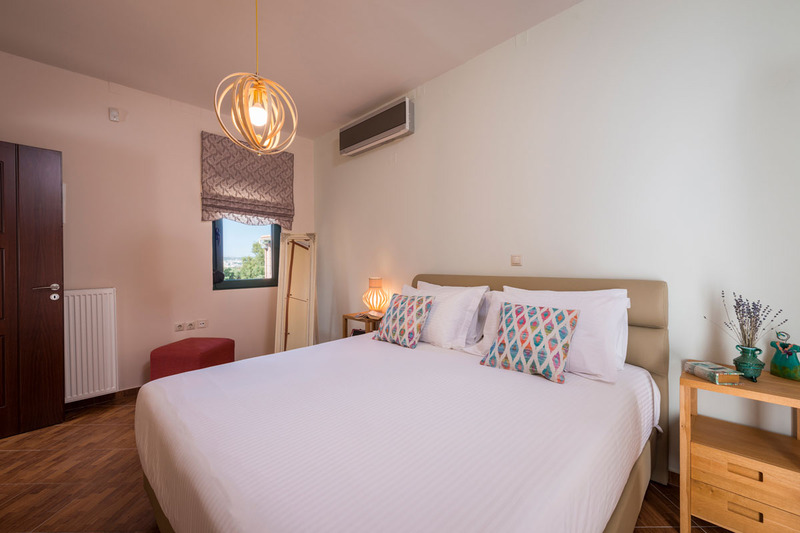 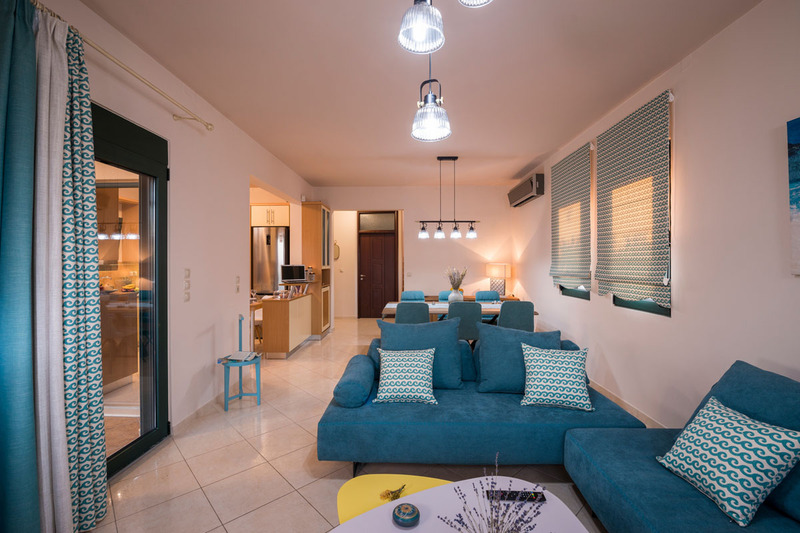 Surrounded by a beautiful tree orchard is the best place to enjoy your holidays taking advantage of complete privacy and easy access to Chania. 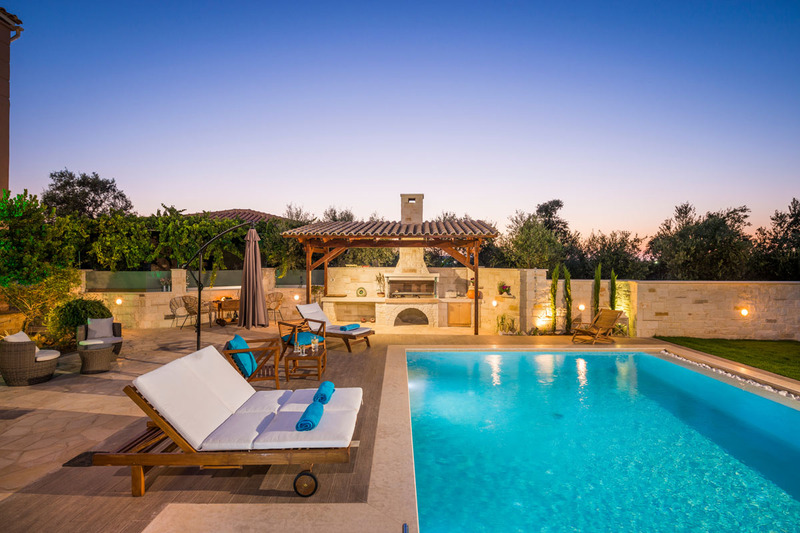 The “ANTONIA BLUE” Villa has been built in a two story house of 170m2. 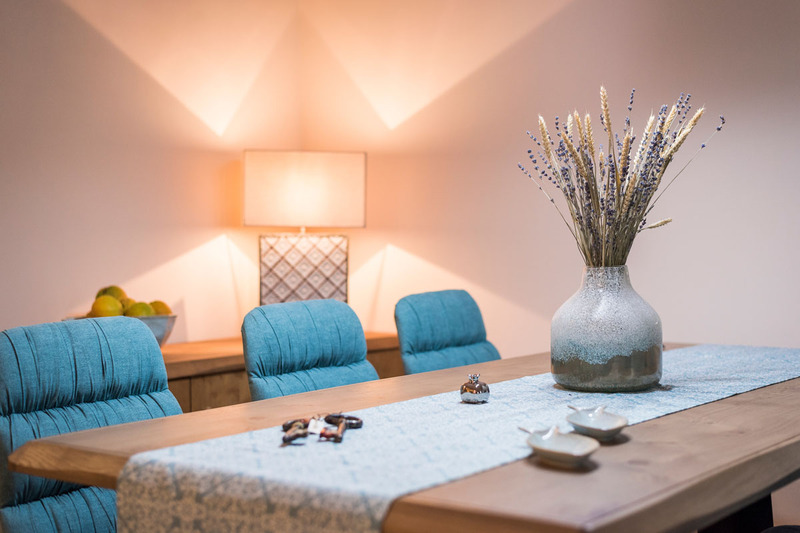 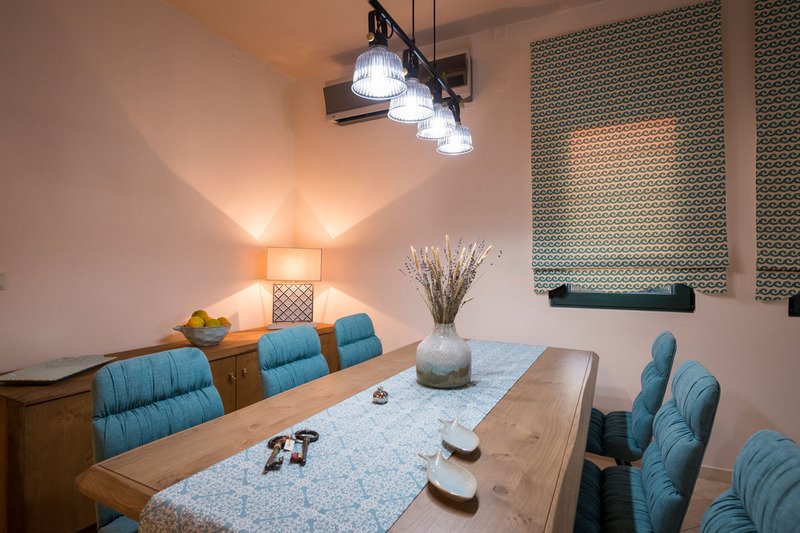 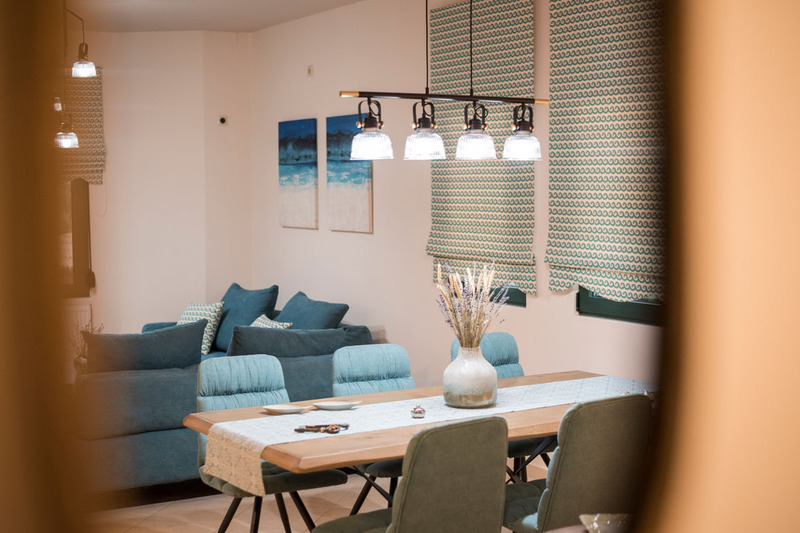 On the ground level there is a storage space to be used by the proprietors, on this base the first floor consists of a spacious living room, dining room, and kitchen with an informal dining table in open plan with a dining reset. 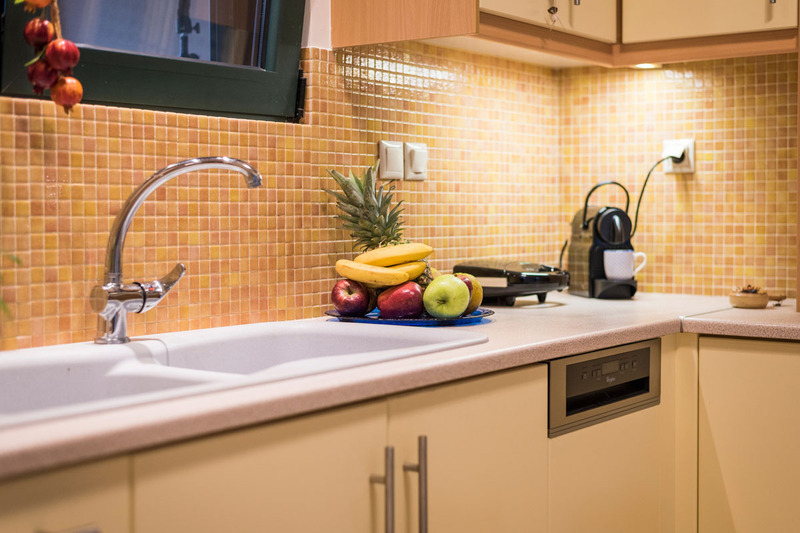 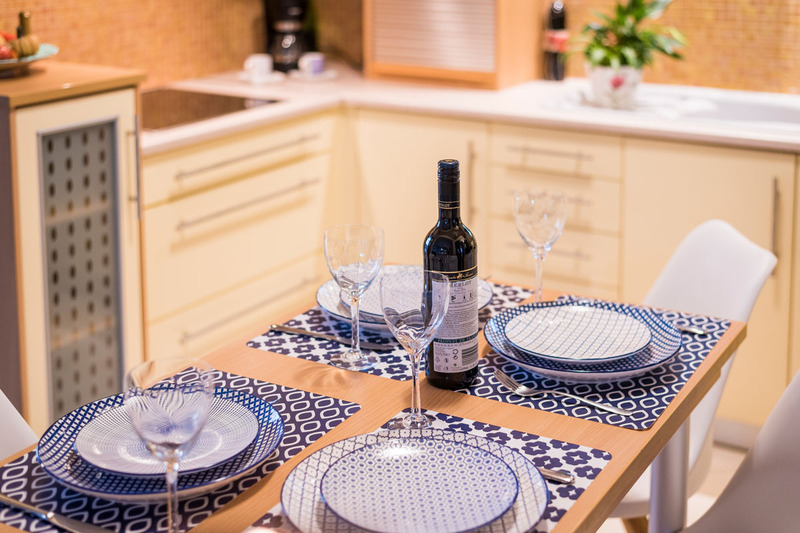 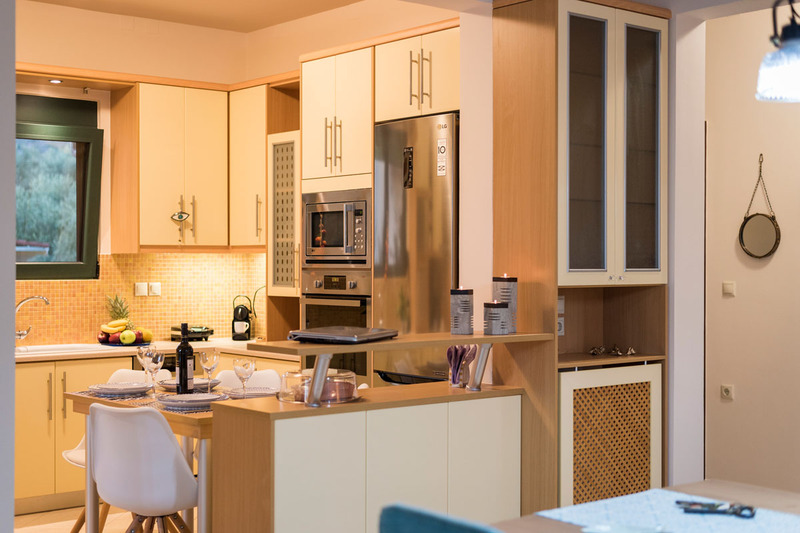 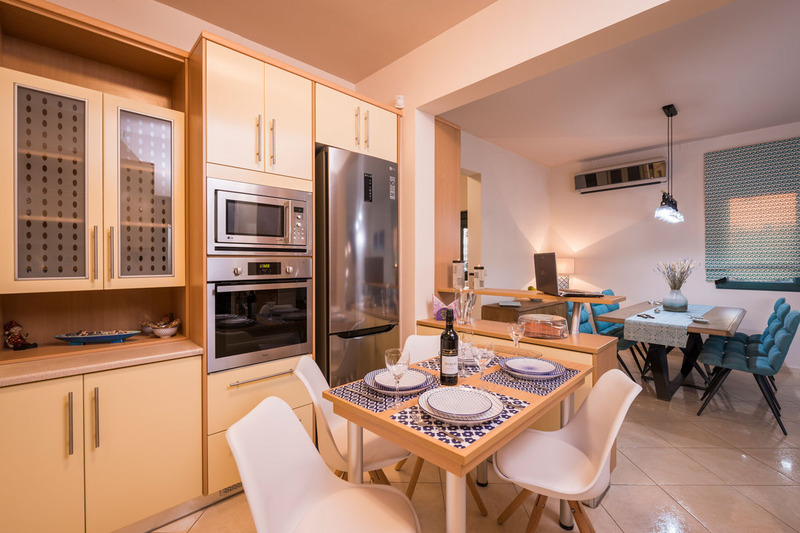 The kitchen is fully equipped by all electric appliances. 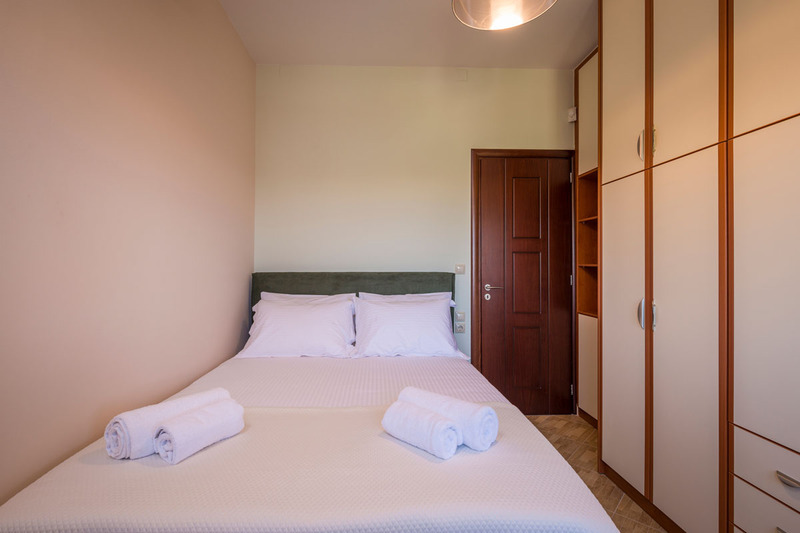 On the same floor there is a bedroom with double bed, spacious closet, a bathroom with step-in shower, and a laundry room. 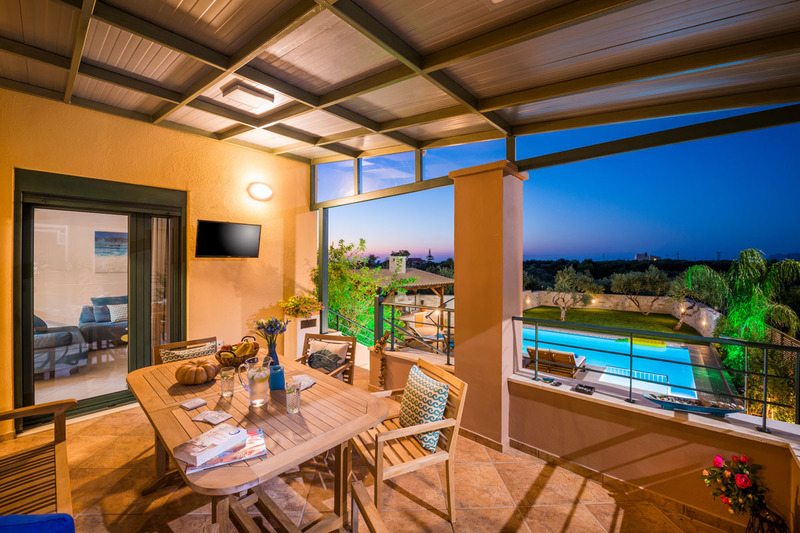 All verandas are spacious overlooking the pool and the green grass playing area. 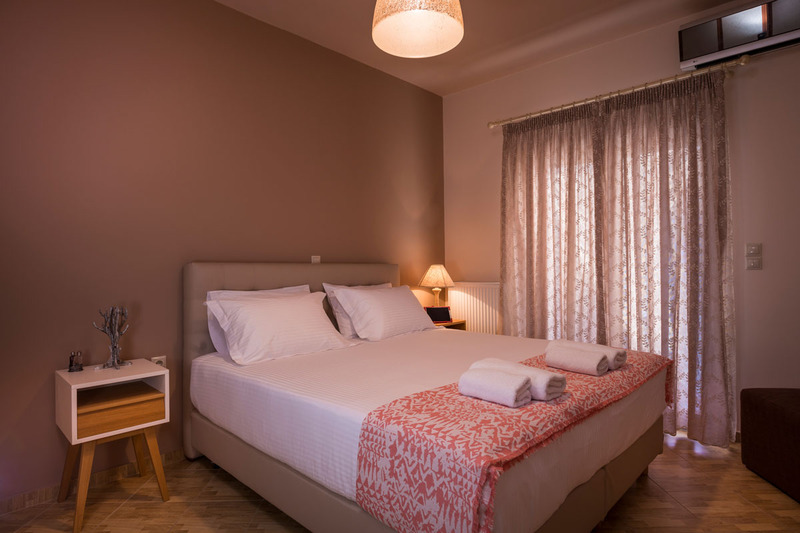 On the second floor there are two bedrooms with queen beds and spacious closets its veranda has a marvelous mountain view. 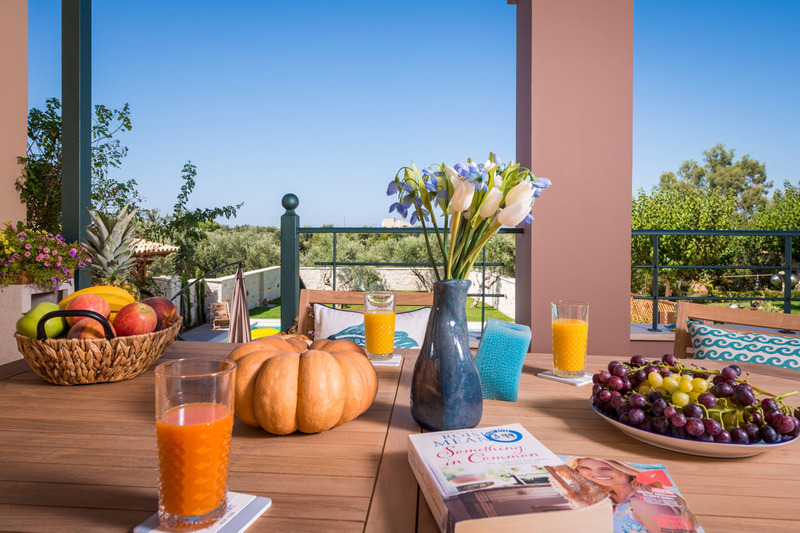 One spacious bathroom with tub and two wash-basins, an enormous veranda overlooking the olive groves and your sight reaches the northern sea. 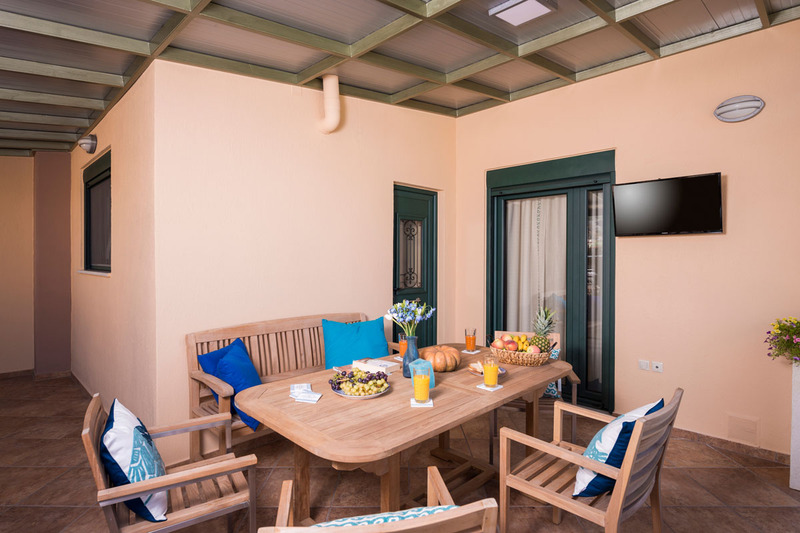 In this veranda there is special furniture to enjoy sitting the romantic view of the sunset. 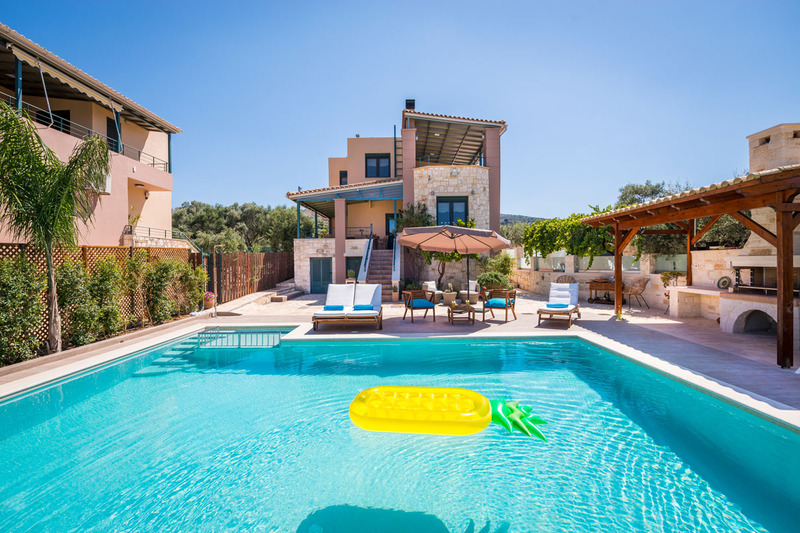 In the spacious all around yard there is a vast pool with build-in children’s little pool with wooden sun beds to enjoy sunbathing an oversized BBQ with ding area, green grass to play on and enough space for the children to play and enjoy their vacation without any danger. 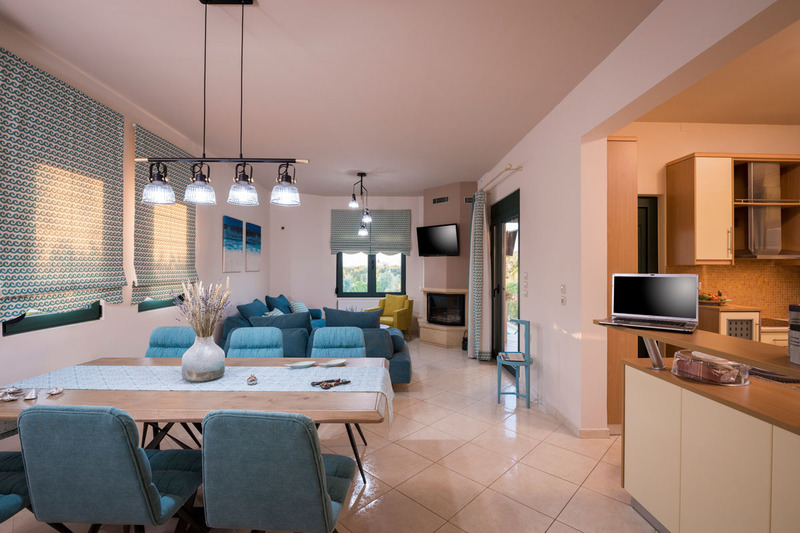 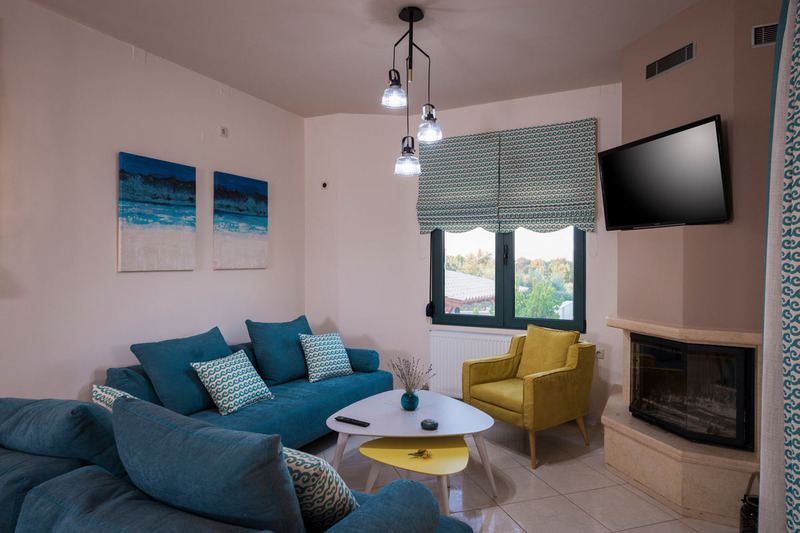 Villa “ANTONIA BLUE” enjoys satellite TV in every room, free Wi-Fi, Auto Air-conditioning, absolute security with monitored high fences. 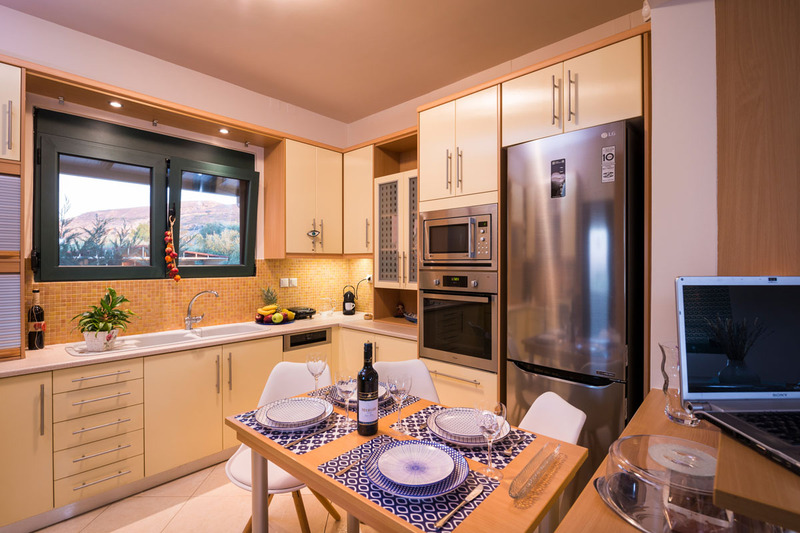 And within reach a lot of interesting places to visit, as the small gorge of Therissos accessed by car, The botanic Park, the old venetian harbor, the nautical museum, or take a ride on a one horse cart around the city.